A horse farm owner’s worst nightMARE. So I am not sure who is the culprit. It is a toss up between Apple and Chex but someone figured out how to open the back doors. 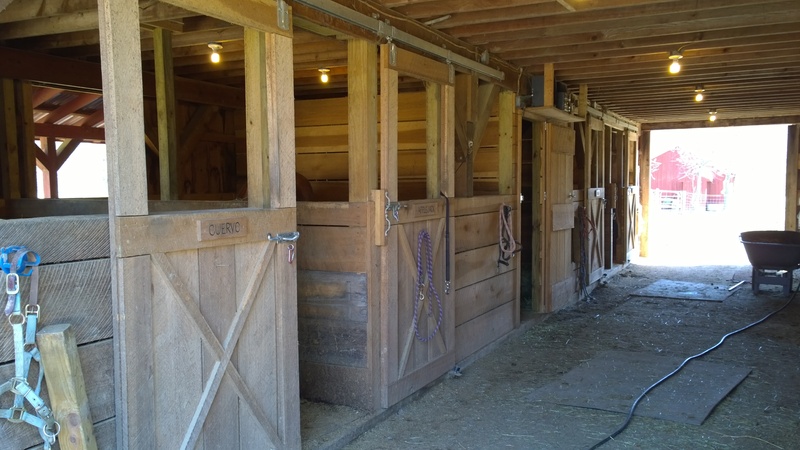 These are the back doors to my guys’ stalls (Cuervo, Apple, Nash & Casey). 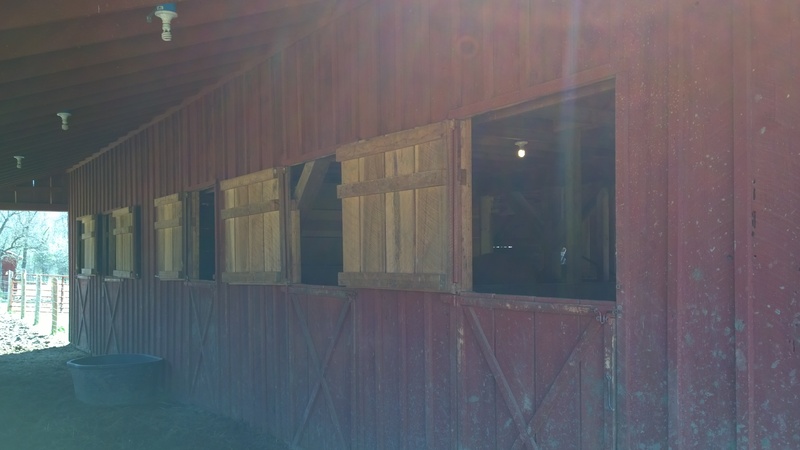 The doors are closed and locked when the horses or out in the ACA during the day. The horses can hang out in the shed row to get out of the sun and I guess someone has taken to playing with the locks. 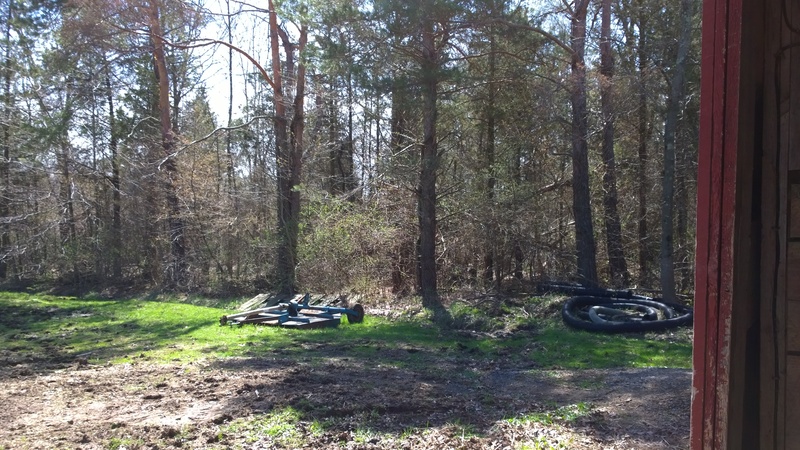 EXCEPT for this part which backs to the woods is not fenced. The donkeys have wandered into the woods and I think that on the day of the great escape they led Cuervo and Izzy into the woods. I noticed the other day when I had them out that Cuervo and Izzy got very upset when the donkeys went off with out them. Funny how attached to each other they get. So now we have clips on all the back doors so the nimble mouths can’t open the locks anymore.